Taking prescription opioid medication during pregnancy can cause serious birth defects. However, that has not stopped physicians from prescribing these medications to pregnant women. In many cases, physicians fail to properly warn their patients of the dangerous effects that the use of prescription opioid medication while pregnant can cause. This is placing a significant number of mothers and infants in danger of dealing with life-long disabilities that were entirely avoidable. Physicians who fail to adequately warn pregnant women about the dangers of opioid medication during pregnancy and thoroughly explore alternative options for pain management are negligent in their duty of care. Official estimates show that more than 1 million pregnant women are prescribed opioid medication annually. From 2000 to 2007, the number of pregnant women prescribed opioid medication increased by 18%. However, these official estimates only account for women enrolled in Medicaid programs. Other estimates show that between 2% to 3% of all mothers may receive treatment with opioid medications during pregnancy. Most patients are prescribed opioid medication for the treatment of pelvic dysfunction, abdominal or back pain, or discomfort due to musculoskeletal changes that occur during pregnancy. The most commonly prescribed medications are Oxycodone, Hydrocodone, and Codeine. Fetuses exposed to opioid medication have a higher incidence of neural tube defects including Spina Bifida. This risk is exacerbated during the first trimester. 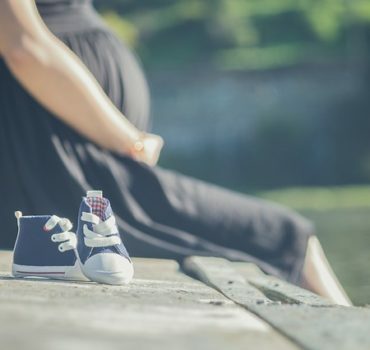 In 2013, studies showed that infants born to women who used opioid medication while pregnant had an incidence rate of 3.9% greater than infants born to mothers who had not used opioid medication early in their pregnancy. Other birth defects and injuries linked to opioid use include Hydrocephaly, Glaucoma, Gastroschisis, cleft palate, cleft lip, and congenital heart defects. Opioid medication also restricts fetal growth and may result in miscarriage, preterm labor, and premature birth. Infants may also suffer from neonatal abstinence syndrome when they are born and begin to suffer withdrawal symptoms. These symptoms include breathing problems that can be fatal for newborns. From neonatal death to lifelong health consequences, once the opioid medication is administered, the effects are irreversible. Thus, abstaining from the use of opioid medication during pregnancy is the only way to ensure that the child will not suffer any negative health effects from the use of prescription opioid medication.